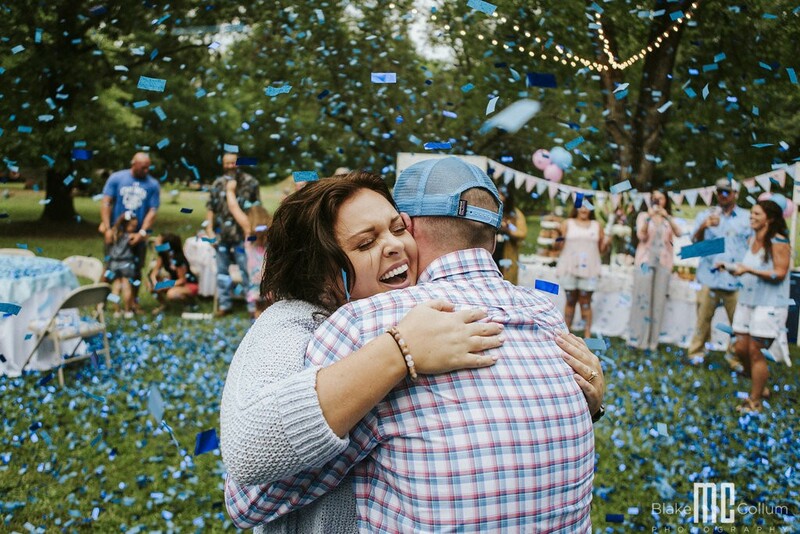 “First comes love, then comes marriage, then comes the baby in the baby carriage!” It’s always fun when a love story arrives full circle from the wedding day to a gender reveal party. 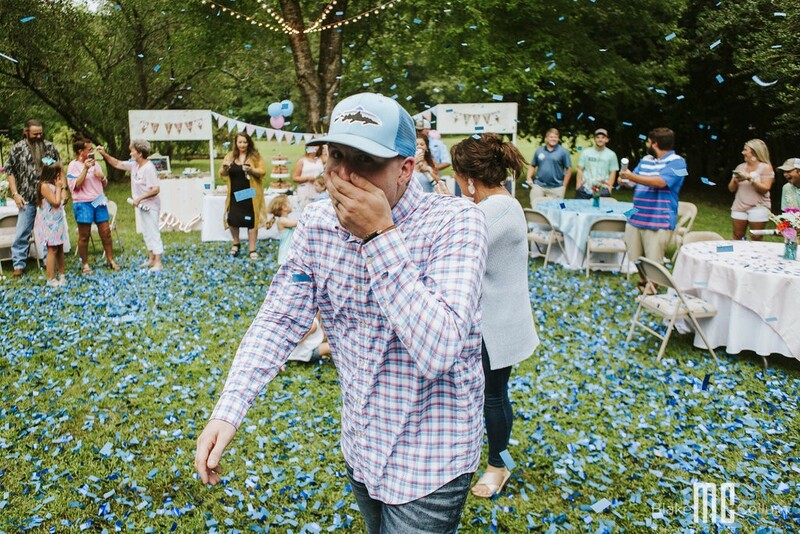 Lately, it seems like many people tagging us with gender reveal photos are return customers who used confetti cannons, sparklers, or lanterns for their wedding. 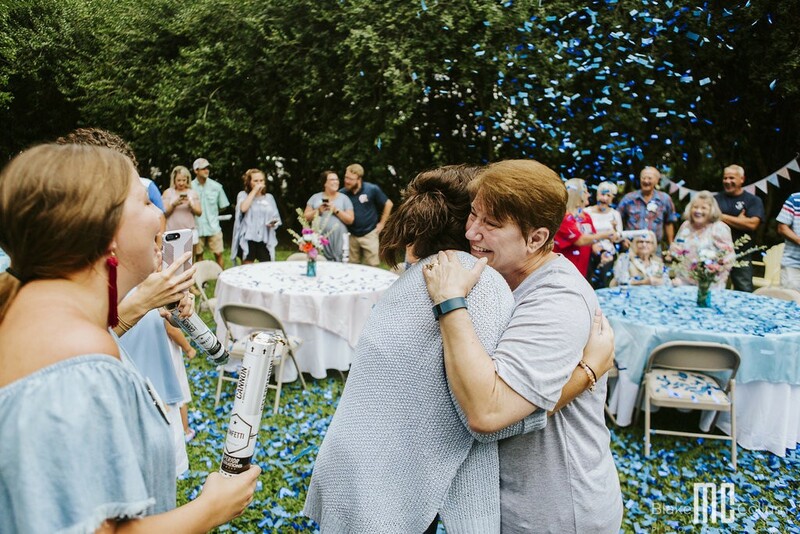 When I found out that Katie and Jami–who happen to have one of the BEST wedding confetti exits, ever–used our Gender Reveal Confetti Cannons, I just had to follow up and see the whole party. 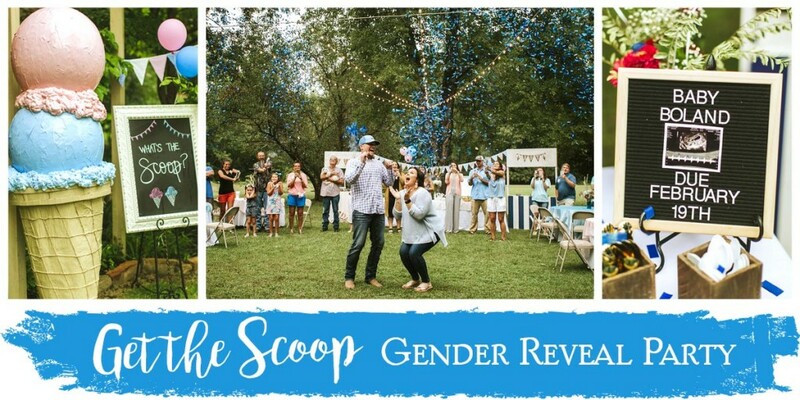 It should be no surprise that the couple who had such a dreamy wedding and spectacular carnival-themed reception would settle for nothing less than a magnificent gender reveal party. 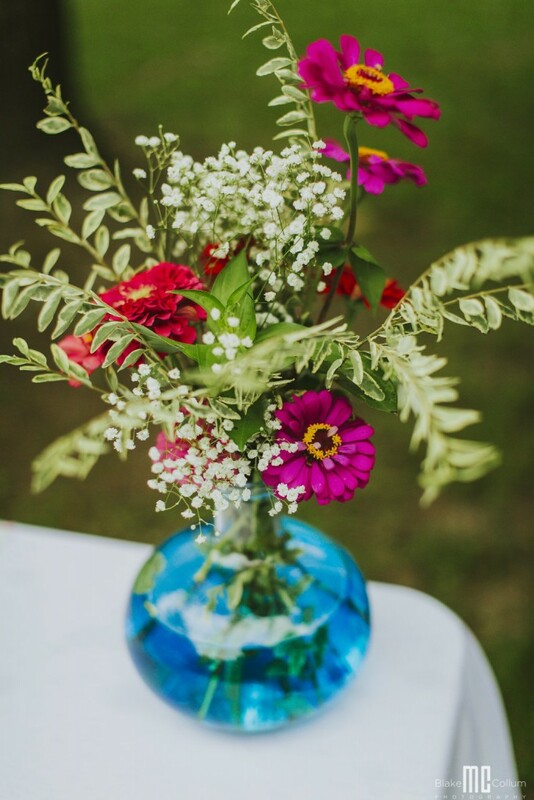 Well, they blew me away with the theme, details, and gorgeous photography! 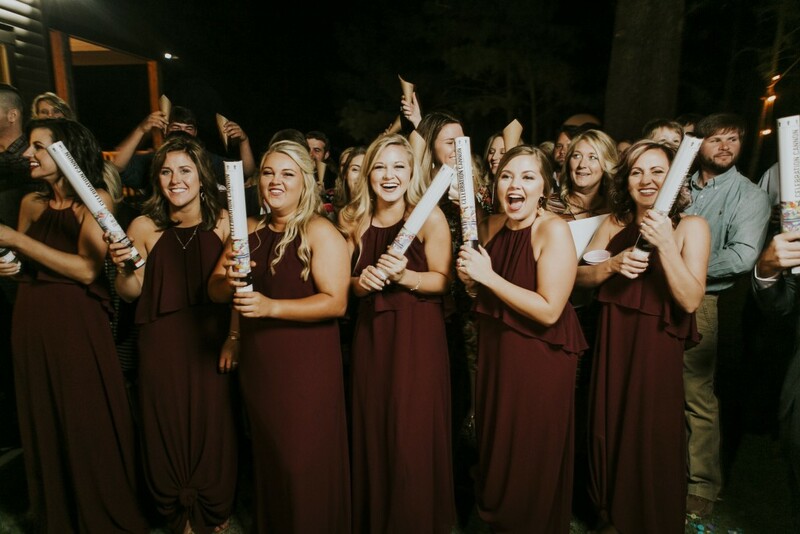 Another fun fact: they used their wedding photographer, Blake McCollum to capture this happily ever after event. 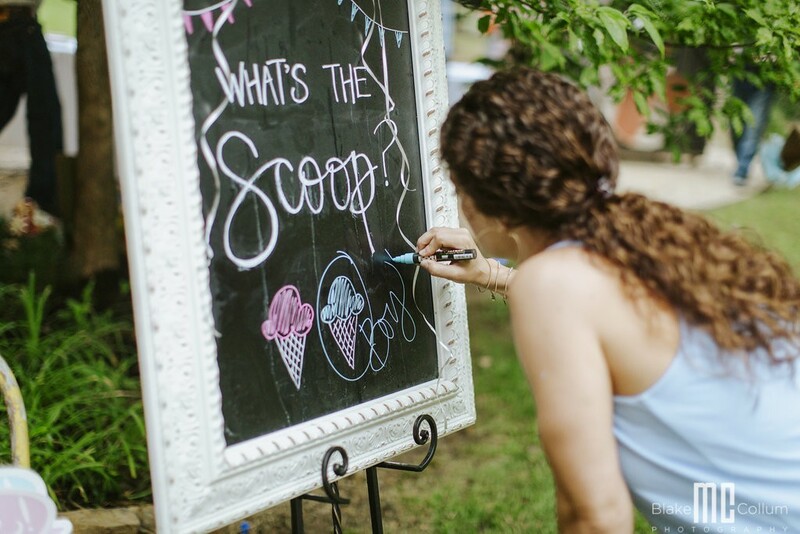 I got the “scoop” from Katie and am excited to let her share their beautiful event. We got married on October 1st, 2016 at Kingfisher Lodge in Tupelo, Mississippi. Blake McCollum was our photographer and our videographer was Rex Harsin. 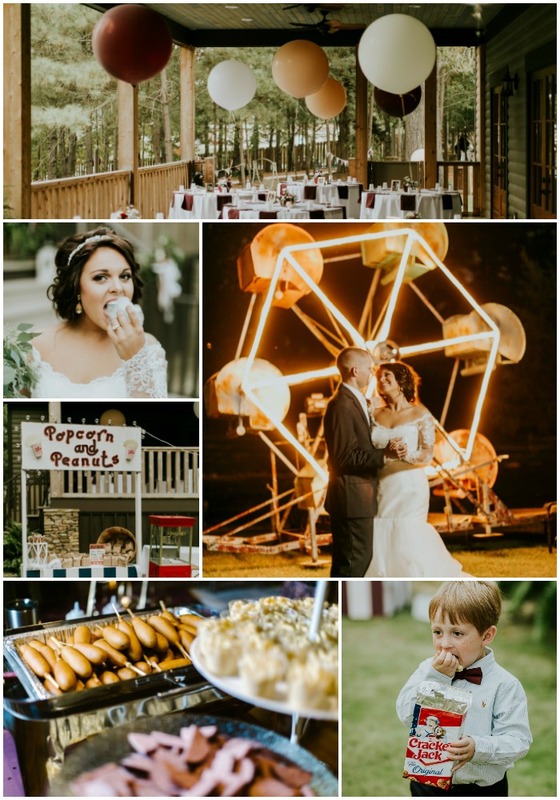 We had a carnival-themed reception that included everything from funnel cakes, a ferris wheel, cotton candy and everything in-between. It was everything I hoped it would be. 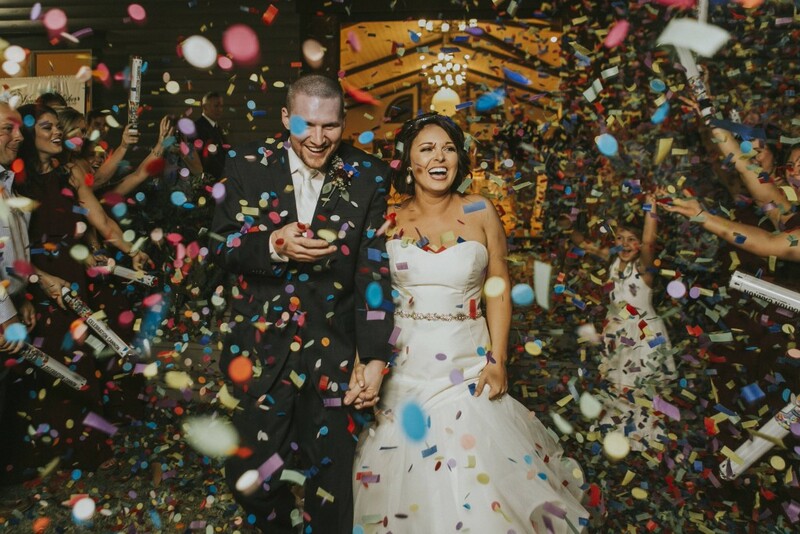 We used the confetti cannons for our wedding and the pictures were out of this world amazing. 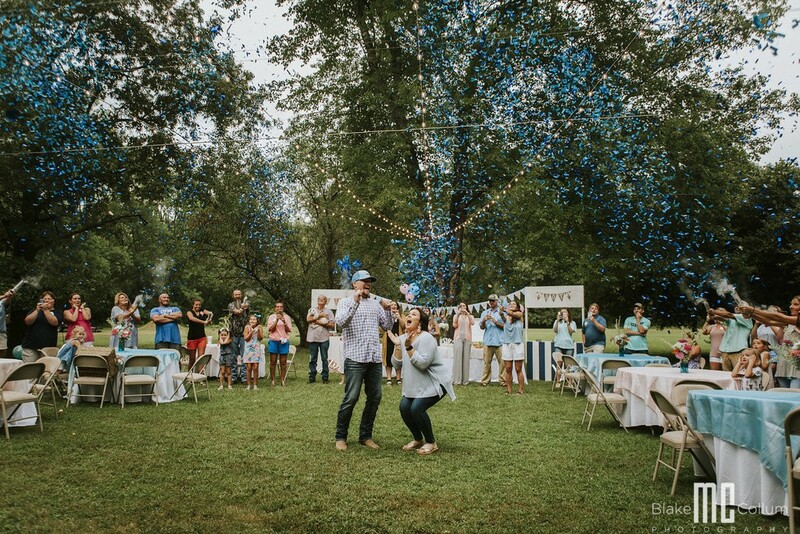 We knew celebrating our reveal would be perfect with them as well. My sister is currently living in Austin, Texas working on her doctorate degree. My husband and I went to visit her and while I was there I found out I was expecting. I wanted the reveal to my husband to be very special for him. My sister and I found Graffiti Park online and it was only about 20 minutes from her house. I told my husband, Jami, and my sister’s finance, Drew, “I have an idea! Let’s buy spray paint and who ever has the best painting wins.” That’s when the smack talking started as if their paintings could top mine. So we started with Jami’s, then Drew’s, and then it was time for the big reveal. I was so nervous and hot (that Texas heat ain’t no joke). I told Jami to walk inside and see which painting he thought was mine. The video of him was priceless and I will cherish it for a lifetime. 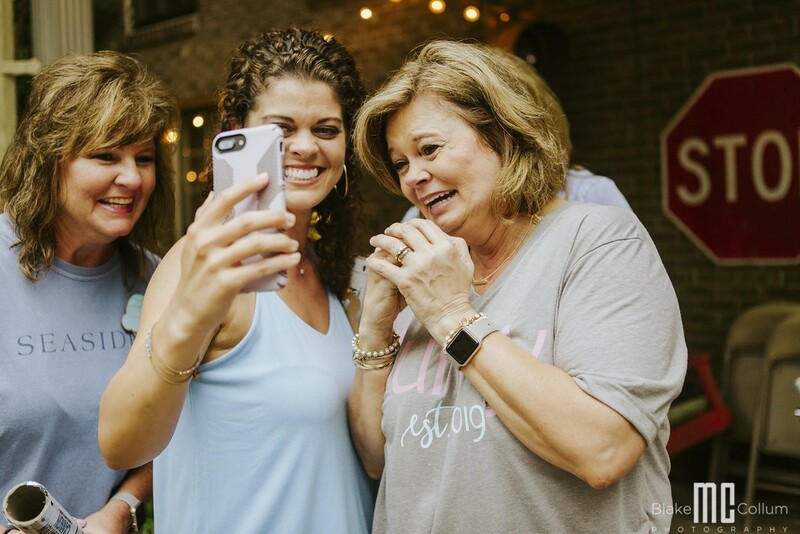 Our family and friends attended the big reveal. 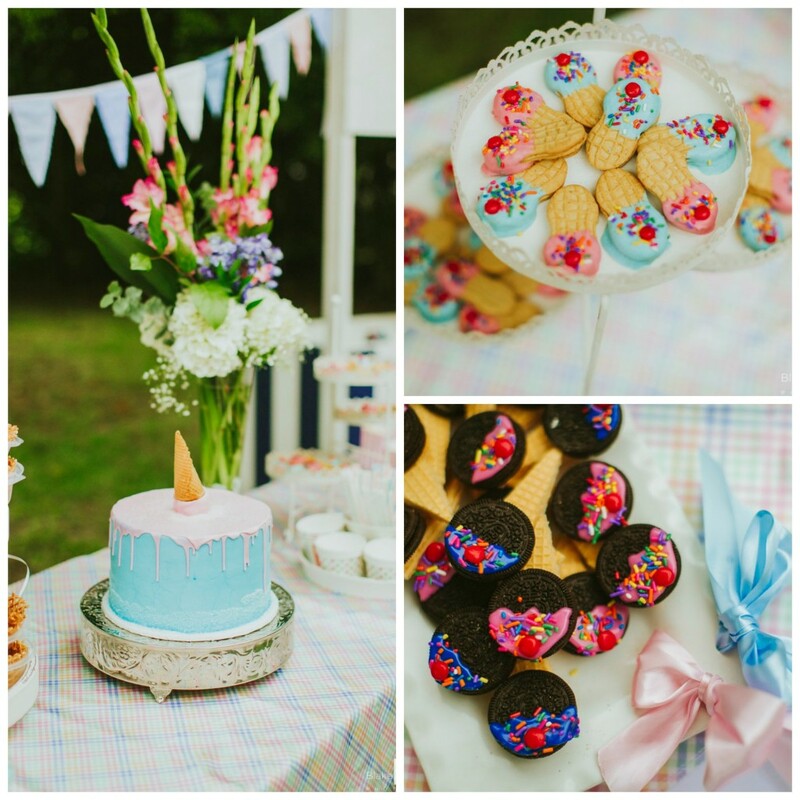 We did an ice cream theme–Come get the scoop! 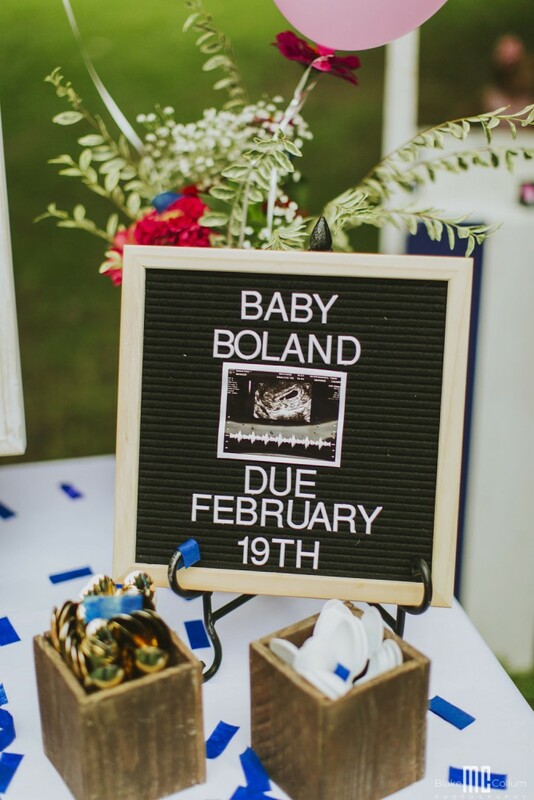 Is Baby Boland a boy or girl? We went all out on everything blue and pink. 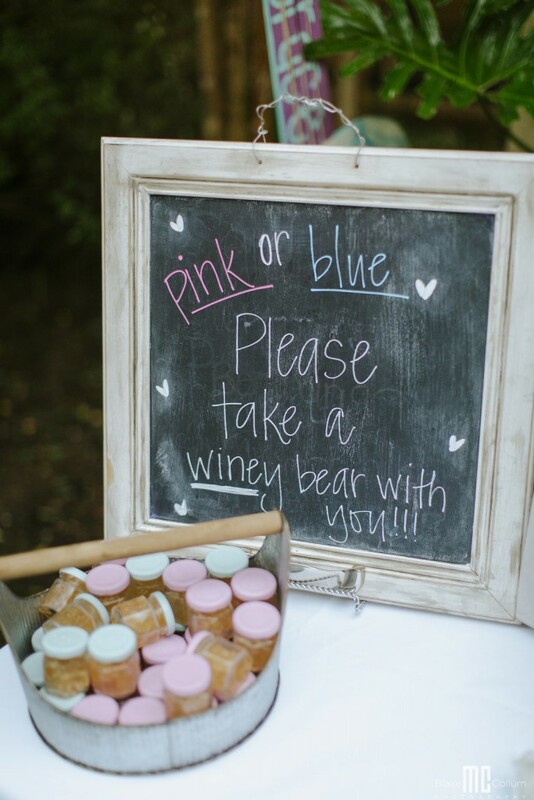 Our favors were “winey bears,” gummy bears soaked in wine. 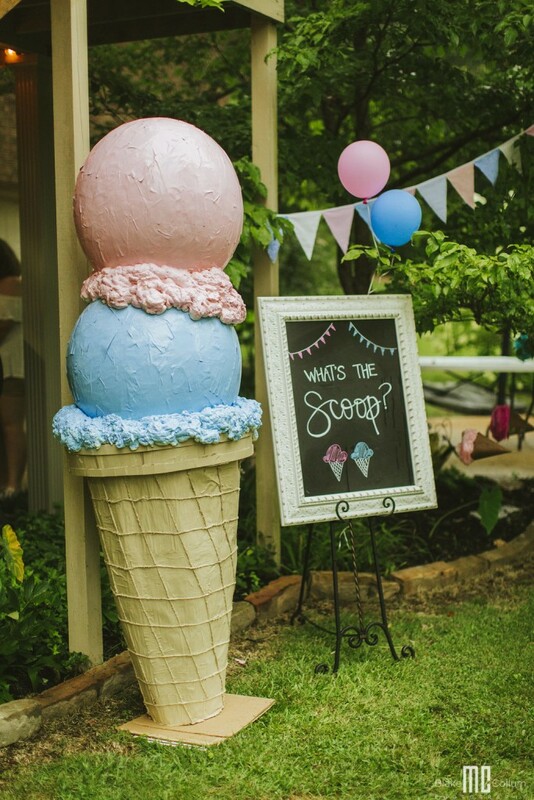 We spent hours working on a life size ice cream cone for decoration. 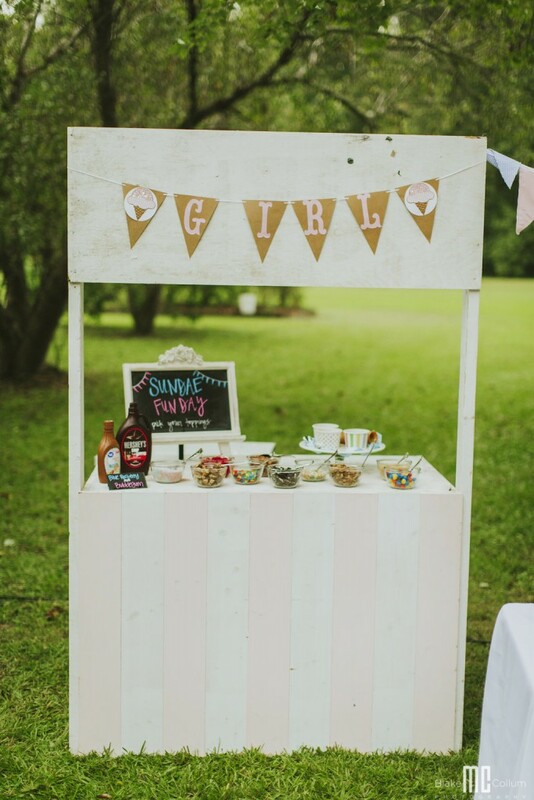 Besides a cake and dessert bar, we also had a Sundae bar with a bunch of toppings. It was a huge hit. 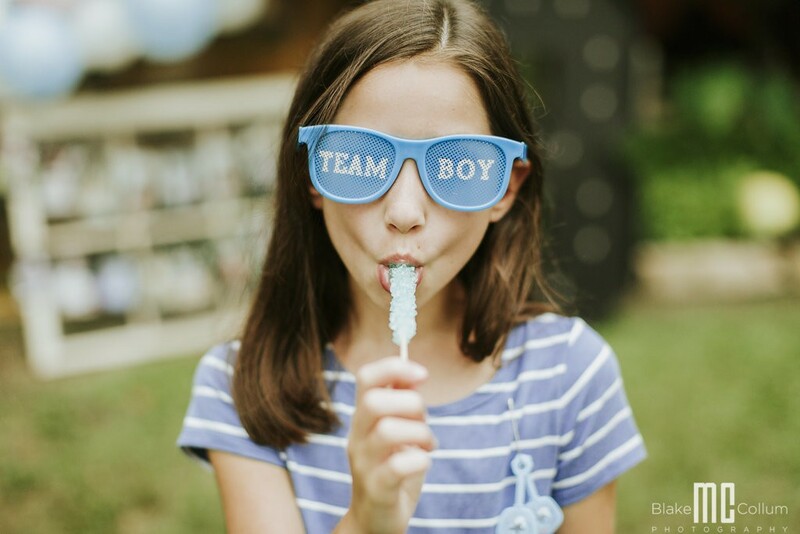 My husband and I both felt like we were having a boy, but with a family full of girls we kept second-guessing ourselves. With a family ratio 10 girls and 2 boys, it just didn’t seem likely. 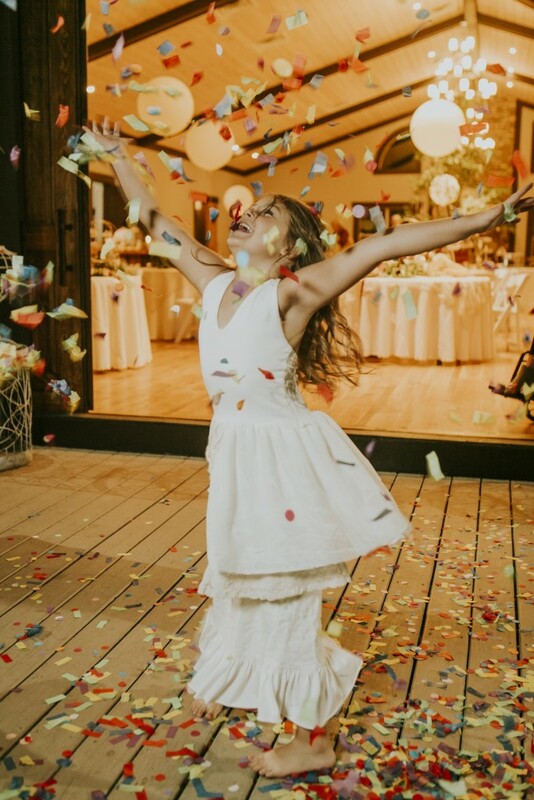 When the confetti cannons went off we were in shock! It was a total explosion of blue. 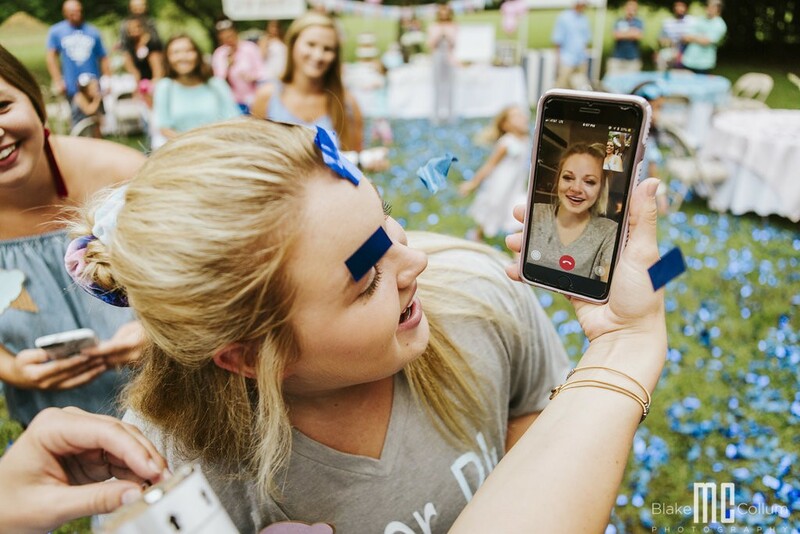 There was lots of jumping, hugging, and even Facetiming the people who couldn’t be there. I think we are still reeling over the fact that we get to love on a sweet baby boy forever! He still doesn’t have a name, but hopefully soon it will come to us. 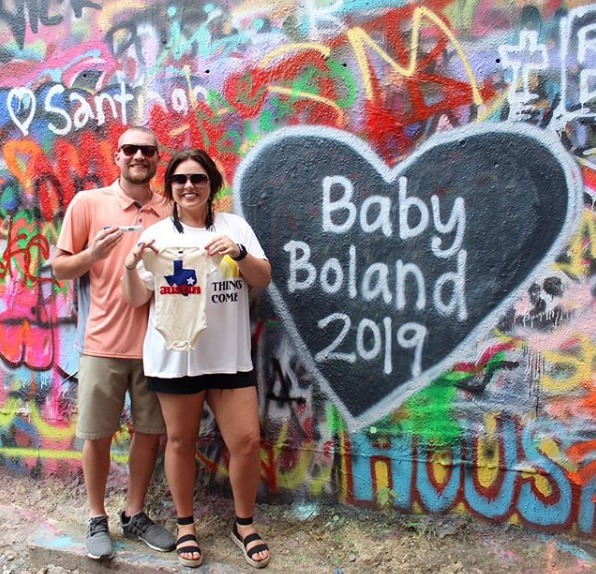 Baby Boland is due February 19th, 2019. 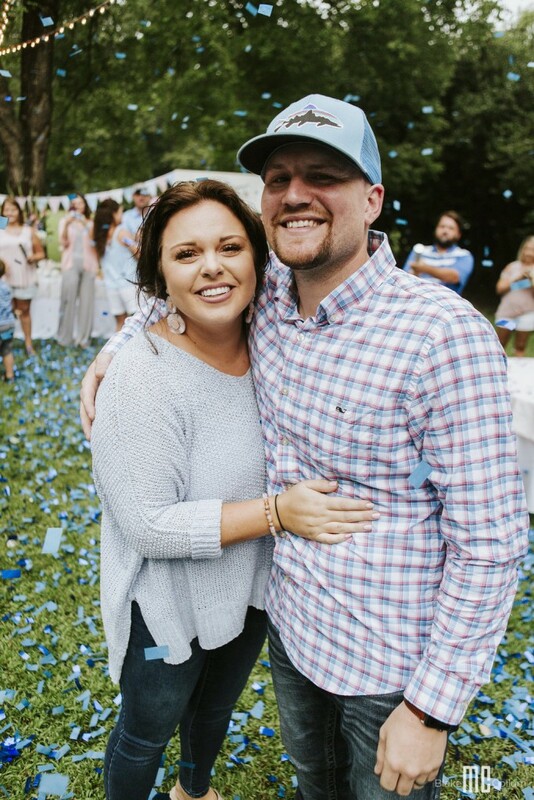 We can’t wait to love him and be the best parents to our sweet angel. Congratulations, Katie and Jami! 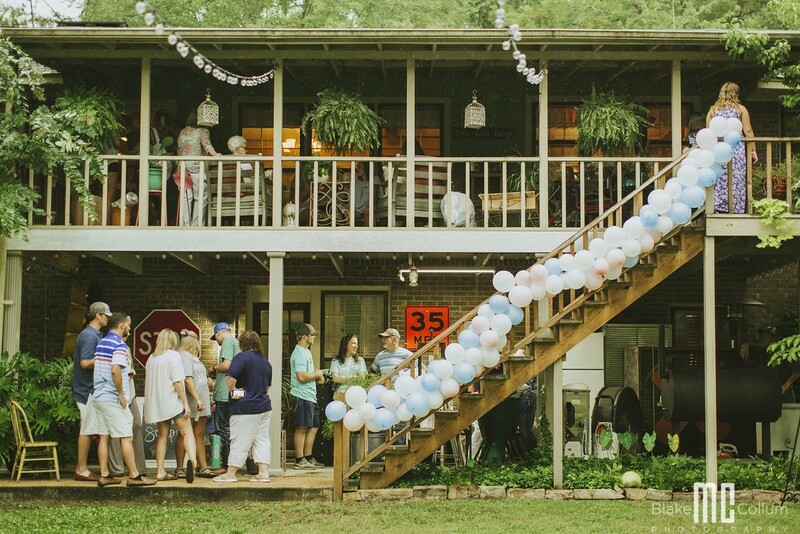 We are so thrilled to share your special event here on our blog. Looking forward to seeing gorgeous photos of that sweet boy in February! This post would not have ever come to light without Katie tagging us on Instagram. 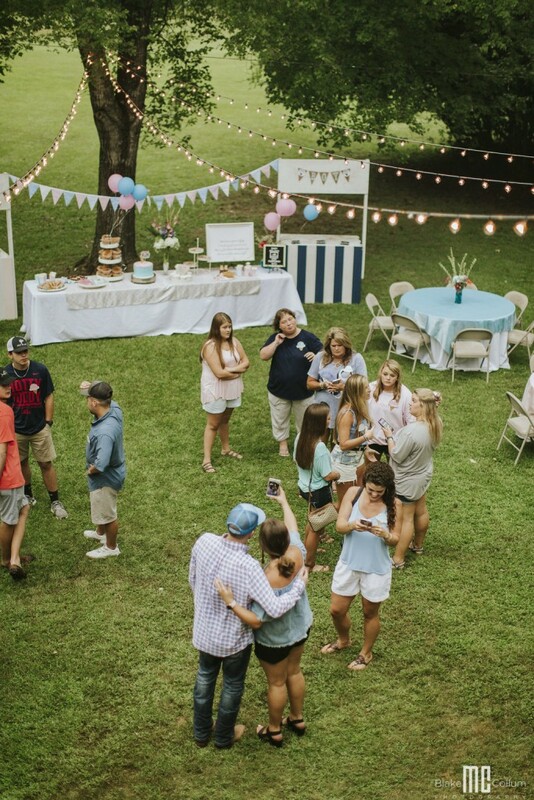 If you’re getting ready to celebrate a gender reveal party, anniversary, or wedding please tag us @superiorcelebrations or use the #superiorcelebrations so that we can follow along.